Ow, this makes my brain hurt. . . . 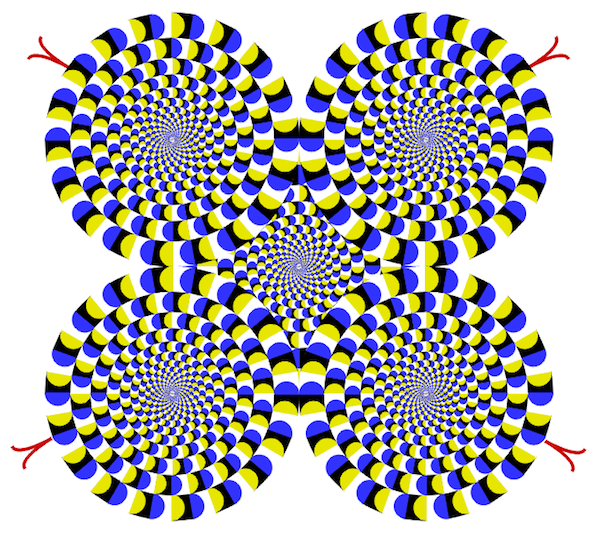 Rotating Snakes Optical Illustion by Akiyoshi Kitaoka of Japan. More how and why this illusion works in an article on Discovery Magazine, available here.